Openworking — also known as skeletonisation — involves cutting away material to reveal the mechanical artistry contained within. It is among the most exacting performances in watchmaking: cutting too much can jeopardize tolerances or affect shock resistance. Achieving the right balance between the beauty of the revealed components and the safeguarding of their performance’s precision is a rare art. 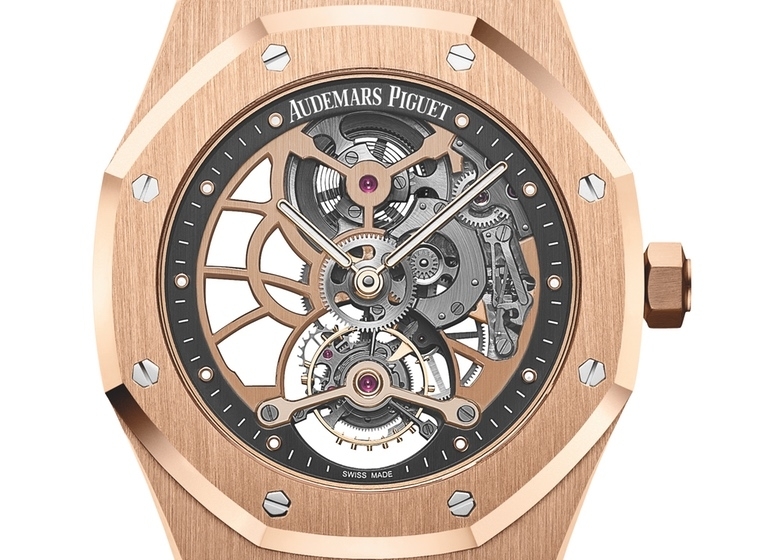 Audemars Piguet has been a master of this intricate process since the 1930s. Today, it performs it in precisely the same manner: filing, decoration and finishing exclusively done by hand. The reasons for this are both aesthetic and technical. For example, a milling machine produces perfectly acceptable rounded angles, but it cannot produce the perfect interior angles (or v-cut angles) that so superlatively reflect light, expressing the artistry of Haute Horlogerie.